Apex Mobile Patrol Guards will patrol your home whenever you’re away. It’s the same industrial strength service we offer to hundreds of businesses around Thunder Bay every day. Best of all, you can custom-tailor our Mobile Patrol services to meet your personal needs and budget. Mobile patrols are available 24 hours a day, 7 days a week, 365 days a year to watch over your property while you’re away from home or on vacation. Regular random visits during the day and night in clearly marked and radio equipped vehicles are a proven deterrent to thieves due to the random timing of visits. Apex Mobile Patrol is much more than a drive-by service. Our Mobile Patrol Guards physically check doors, windows, surroundings and the interior and exterior of the property. This service can also be tailored to suit your specific needs including pets and plant care. Arrangements can be made to maintain your pool, snow removal, etc. You get total accountability with our high-tech Check Point Data Strip that would be placed in a pre-designated area of the home. 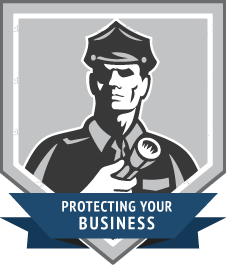 It’s scanned every time an Apex Mobile Patrol Guards visits your premises. This provides you with an official verification of date and time we visited, and will satisfy insurance requirements as per the conditions of your policy. Apex Mobile Patrols can be adapted to your personal requirements, i.e. you can choose to have the service at certain times of the day, week or year. Once this service has been initially set up, all you need to do is contact our office when you plan to be away from the home and we’ll make arrangements for mobile patrols.